This is a Rental Machine - $52+ a year in vacation rentals. 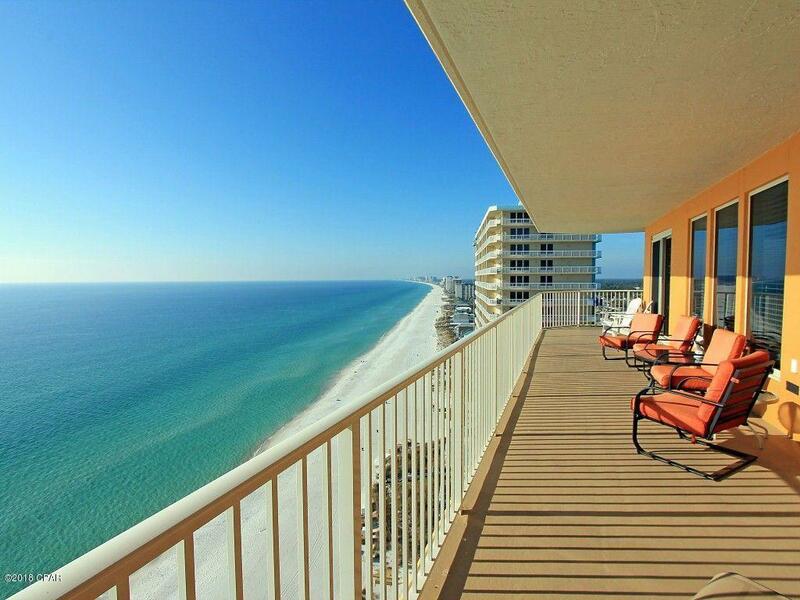 Enjoy a Million Dollar View in this fabulous GulfFront corner unit with wraparound balcony directly on the sugar white sands of Panama City Beach! Watch the sunset from the biggest balcony in the complex -Your Balcony! This professionally decorated 3 Bed-2 Bath sleeps 8. 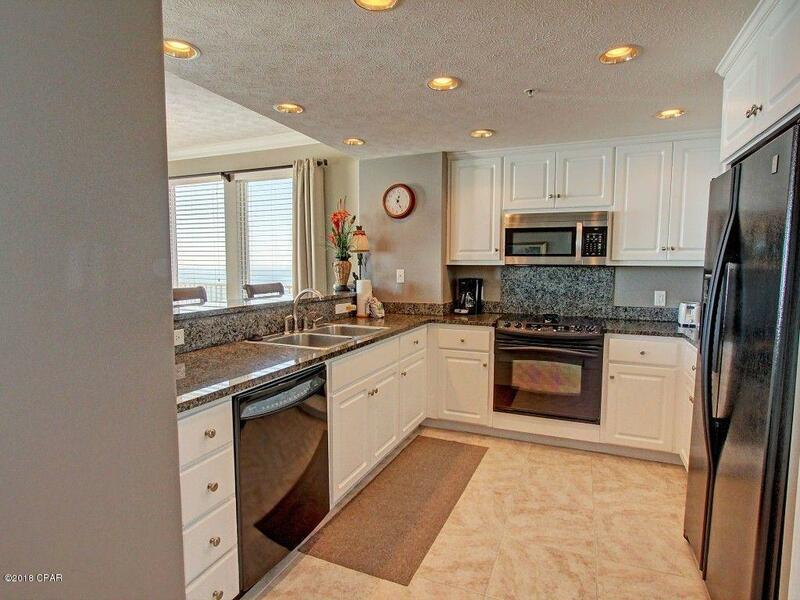 New upgraded appliances, new hot water heater, granite countertops, New Fridge (not pictured) + more! Brand New A/C Unit! 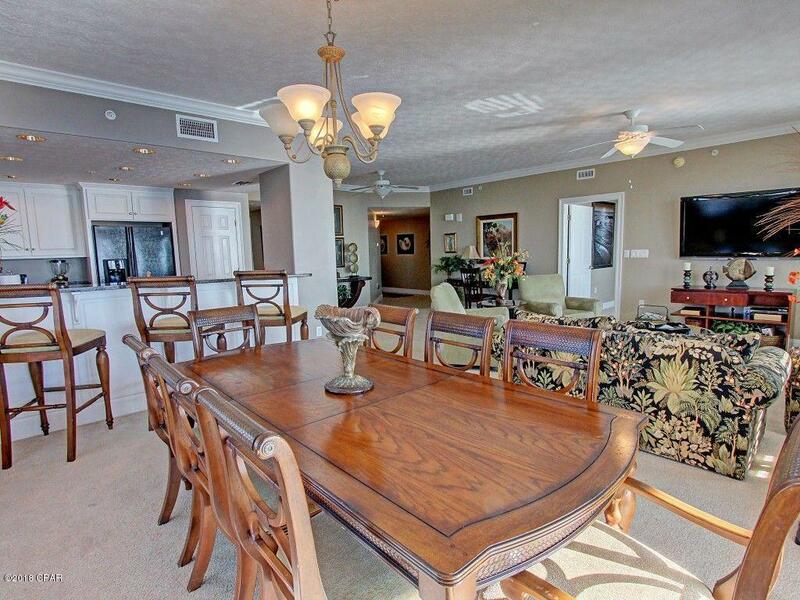 Enjoy the huge GulfFront, heated swimming pool, steamy hot tub, gazebo, dune walkover, state-of-the-art fitness center,poolside snack bar, and covered parking. 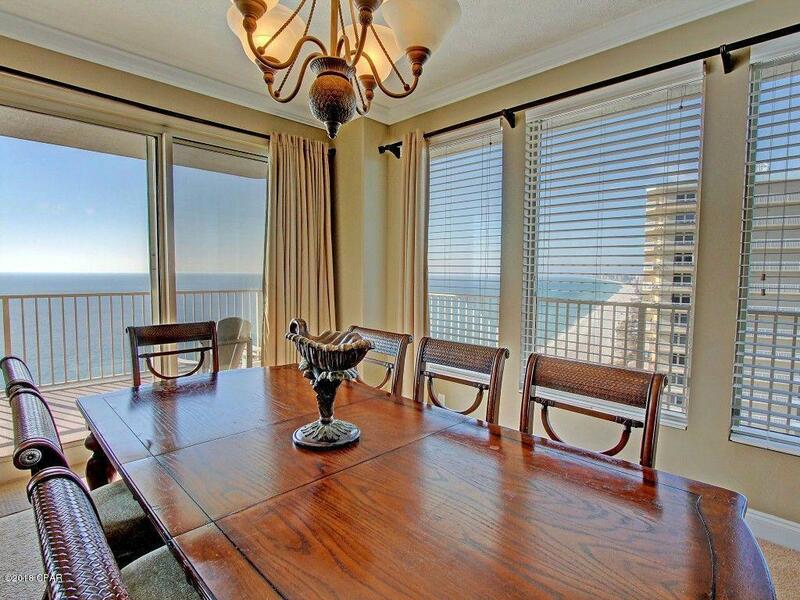 Your family, your friends and your vacation rentals will come back year after year! Listing provided courtesy of Realjoy Properties. Listing information © 2019 Central Panhandle Association of Realtors MLS.